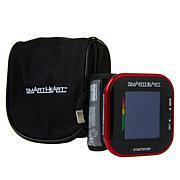 Get the accuracy you need wherever your day takes you with a convenient and easy-to-use digital blood pressure monitor. An extra-large LCD display makes reading easy and the memory recall function holds up to 120 readings making it great for multiple users. Stash it in the included storage case and be worry-free with an auto-off function that helps preserve battery life so you'll always have easy readings on-the-go. Do not confuse self-monitoring with self-diagnosis. Blood pressure measurements should only be interpreted by a health professional who is familiar with your medical history. 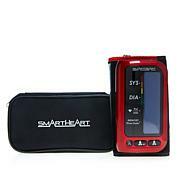 Contact your physician if test results regularly indicate abnormal readings. If you are taking medication, consult with your physician to determine the most appropriate time to measure your blood pressure. NEVER change a prescribed medication without first consulting with your physician. Individuals with serious circulation problems may experience discomfort. 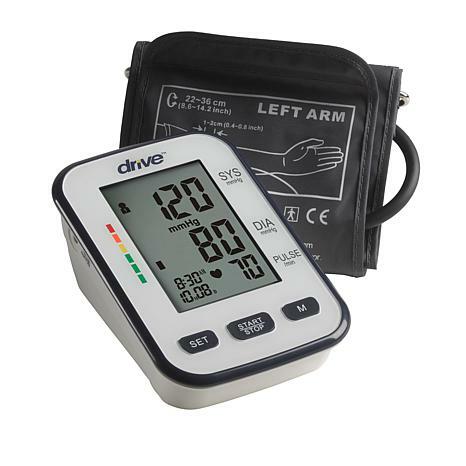 For persons with irregular or unstable circulation resulting from diabetes, liver disease, arteriosclerosis or other medical conditions, there may be variations in blood pressure values measured at the wrist versus at the upper arm. 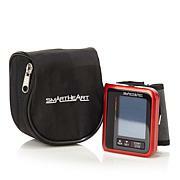 Monitoring the trends in your blood pressure taken at either the arm or the wrist is nevertheless useful and important. People suffering from vascular constriction, liver disorders or diabetes, people with cardiac pacemakers or a weak pulse, and women who are pregnant should consult their physician before measuring their blood pressure themselves. Different values may be obtained due to their condition. of simultaneously used monitoring equipment on the same limb. 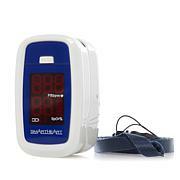 People suffering from arrhythmias such as atrial or ventricular premature beats or atrial fibrillation only use this blood pressure monitor in consultation with your doctor. In certain cases, oscillometric measurement method can produce incorrect readings. Very easy to use and gives the proper readings. Took my pressure before my doctors visit and was accurate. Very easy to use and no trouble at all. So far the unit has been easy to use, and set up. Its a reliable piece of equipment. Pleased with it so far. Good size to tote around if necessary. Not too big and not too small.